Jan Barry is an Adjunct Professor of Journalism at Ramapo College of New Jersey. 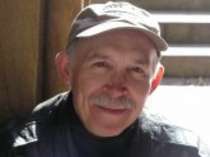 He’s a poet and writer and the author of A Citizen’s Guide to Grassroots Campaigns; Earth Songs: New & Selected Poems; and coeditor of Winning Hearts & Minds: War Poems by Vietnam Veterans, among other works. After an Army stint in Vietnam, he resigned from the US Military Academy to become a writer and peace activist. He recently retired from a news reporting career and is still seeking to find workable solutions to world problems. More biographical information can be found here.